OHMYGOD you can see both of his eyes. 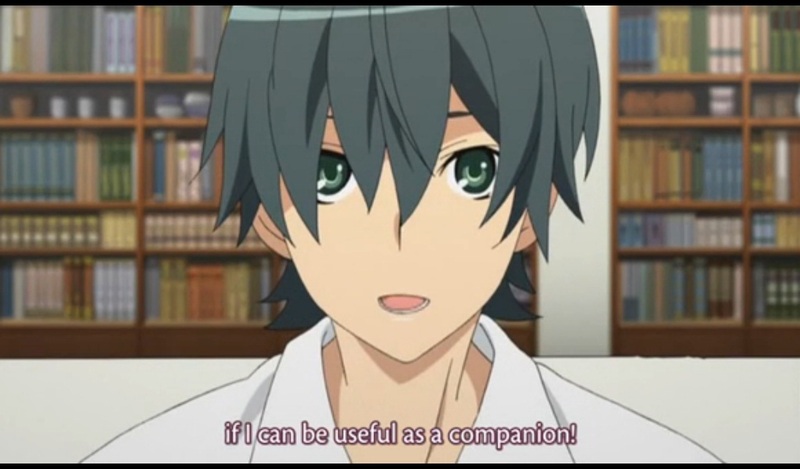 Ryoushi-kun definitely mans up a little in this epi. Ookami Ryouko and Akai Ringo are first-year high school students (10th grade) part of the Otogi Academy Student Mutual Assistance Association, otherwise known as the Otogi Bank, a group at their school, Otogi Academy. They work to help students out, as the title suggests, though it’s a give–“give-even-more” relationship.